The Yavapai College Literary Southwest Series presents an Evening with Kay Ryan, Pulitzer Prize-winning and former U.S. Poet Laureate, who will read excerpts from her works. A discussion will follow. The author’s books will be available for purchase at the event and at the Peregrine Book Company. In 2008, Kay Ryan was appointed the Library of Congress’s sixteenth United States Poet Laureate Consultant in Poetry. She served in that capacity until 2010. The following year she won the Pulitzer Prize for Poetry for her collection The Best of It: New and Selected Poems. 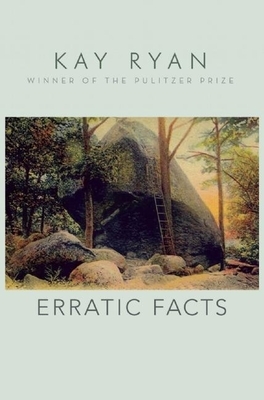 Her most recent book of poems, Erratic Facts, was published by Grove Press in October 2015. Other poetry collections include The Niagara River, Say Uncle, Elephant Rocks, and Flamingo Watching. Ryan’s awards include a MacArthur “Genius” Award, The National Humanities Medal awarded by President Barack Obama in 2012, the Ruth Lilly Poetry Prize, a Guggenheim Fellowship, and an Ingram Merrill Award. In 2017 she was elected a member of the American Academy of Arts & Letters; Ryan was elected a Chancellor of The Academy of American Poets in 2006. Born in California, she grew up in the small towns of the San Joaquin Valley and the Mojave Desert. She has lived in Marin County in Northern California since 1971. Kay Ryan's recently concluded two-year term as the Library of Congress's sixteenth poet laureate is just the latest in an amazing array of accolades for this wonderfully accessible, widely loved poet—her awards include the Ruth Lilly Poetry Prize from the Poetry Foundation, four Pushcart Prizes, and a Guggenheim fellowship. 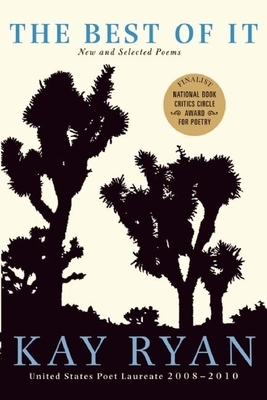 Ryan's The Best of It: New and Selected Poems has garnered lavish praise. The two hundred poems in The Best of It offer a stunning retrospective of her work, as well as a swath of never-before-published poems—all of which are sure to appeal equally to longtime fans and general readers. 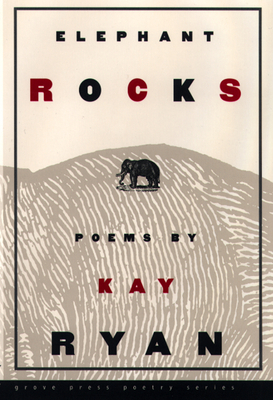 Elephant Rocks, Kay Ryan's third book of verse, shows a virtuoso practitioner at the top of her form. Engaging and secretive, provocative and profound, Ryan's poems have generated growing excitement with their appearances in The New Yorker and other leading periodicals. Sometimes gaudily ornamental, sometimes Shaker-plain, here is verse that is compact on the page and expansive in the mind.